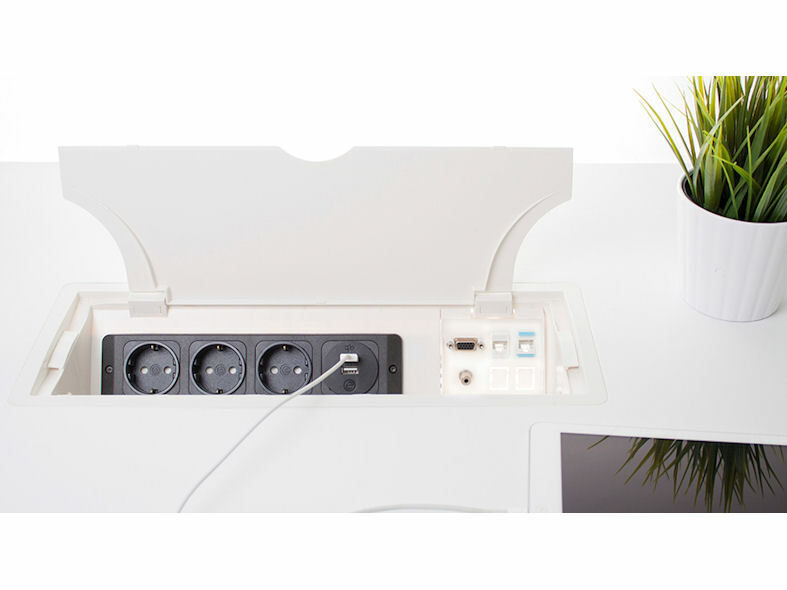 The GENIE in-desk box provides an excellent solution for power and data communication requirements built directly into the work station. 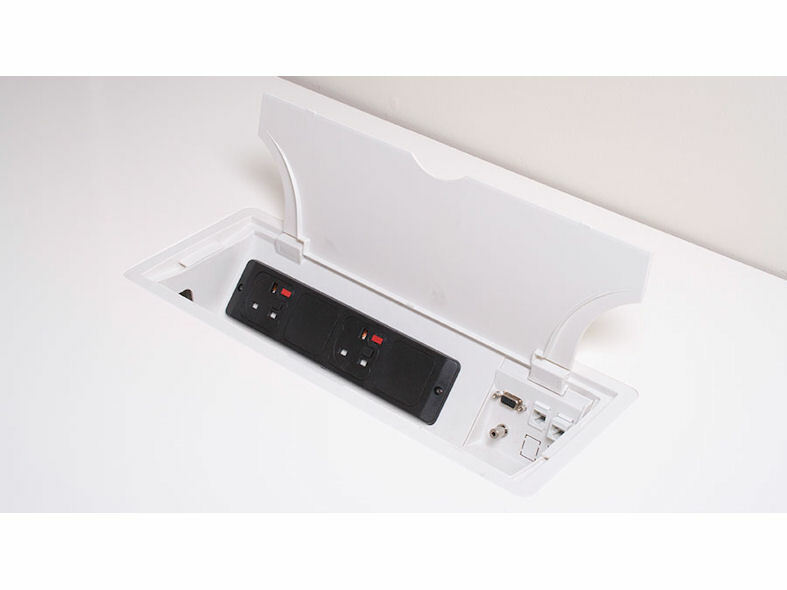 The flush mounted, one size GENIE in desk box has been designed to accommodate up to but not exclusively, 4 power sockets and 4 data outlets, VGA and Audio. 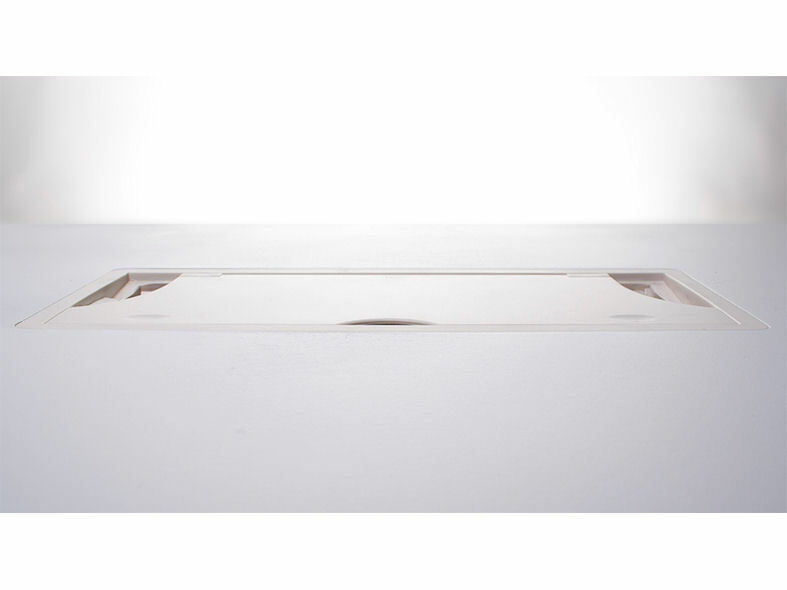 The GENIE is designed with the ability to be fitted from the top of the desk or table by one person, negating the need to work under the desk. The unique locking arm system ensures that the GENIE is securely fitted to the table desk top by operating screws at each end of the GENIE. Each GENIE has a special recessed channel to the inside rim to funnel any minor spillages away from the current carrying parts. 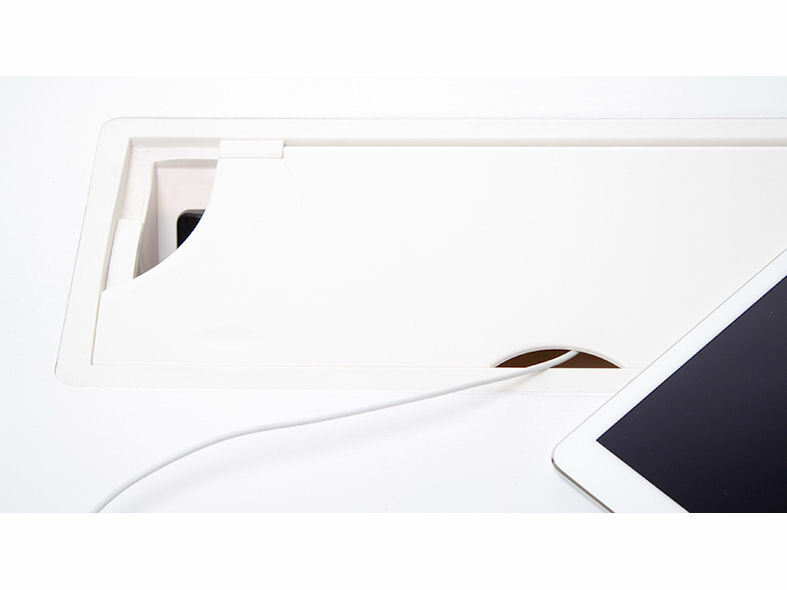 The polycarbonate lid has two scalloped recesses, one at each end, to allow easy and free access for power and data cables.